Posted May 17th, 2013 by Jan Meissner & filed under Adventures, Featured. For the 23 years I’ve been a mother, my Mother’s Day desire is to spend the entire day, sunrise to sunset, gardening. Free of obligations. No conversation. No dinner to make or eat. Just gardening. Me and my dirt. 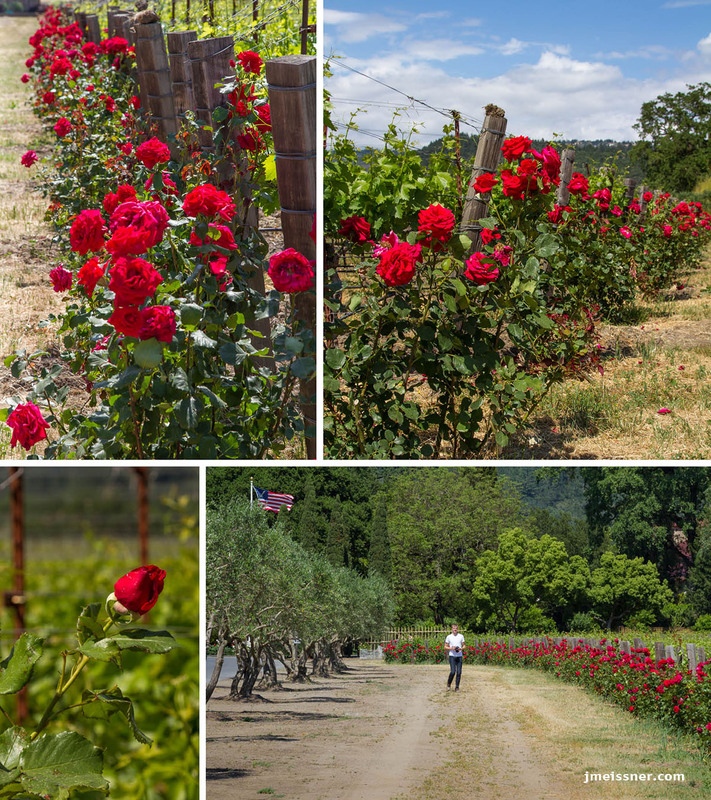 This year we happened to be in Napa and Sonoma counties the week before Mother’s Day. My husband and I brought our son who hadn’t been to wine country yet. 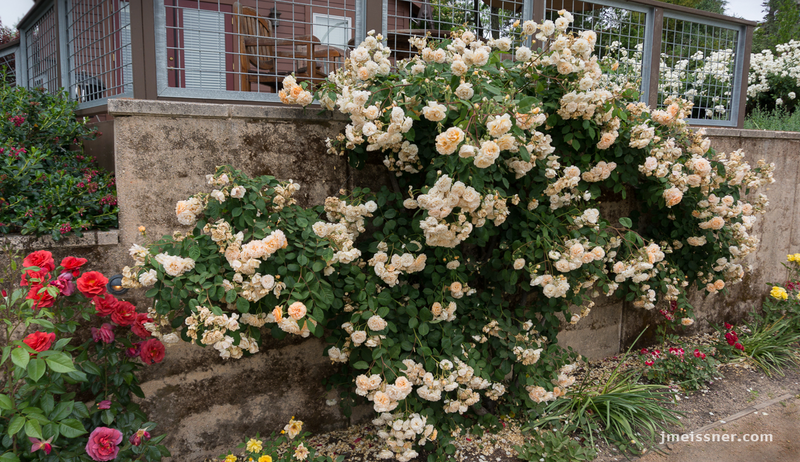 So this year, instead of an interruption-free gardening day, I got thousands of roses, wine all day long starting at 10:30 a.m., and a whole week with my two favorite men. Coincidentally, the two men who officially qualified me for motherhood. We called it Mother’s Days, plural. And it was better than dirt. 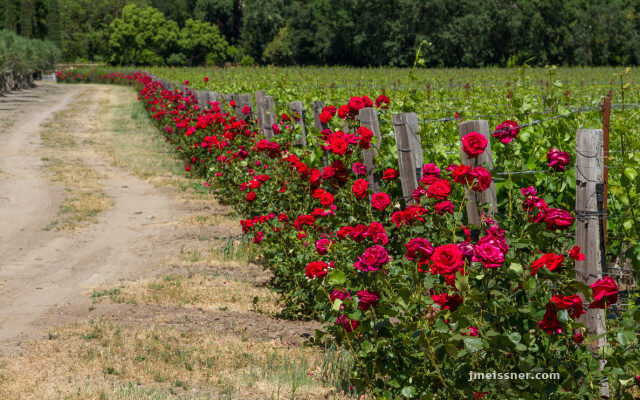 Red roses line Main Street in St. Helena and the entire drive up to the tasting room of Charles Krug Winery. 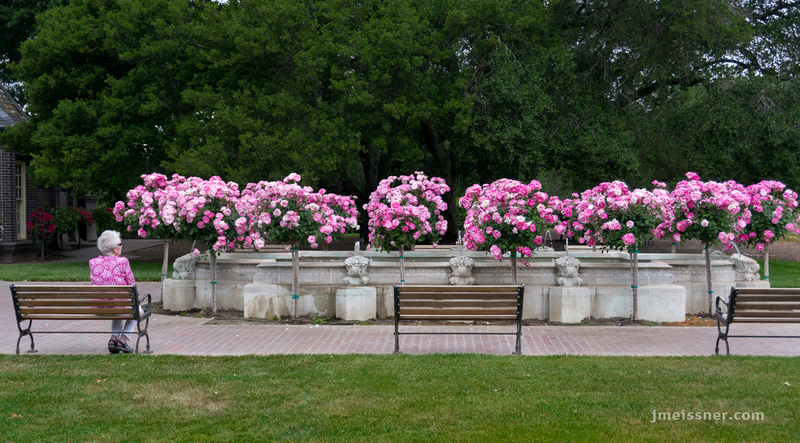 In the back of Ledson Winery in the Sonoma Valley somebody’s mom looked like she dressed for the roses. Ledson Winery favors white roses in the front. Duckhorn Vineyards in Napa Valley gets bonus points for having a friendly cat. Oh, and really great wine. 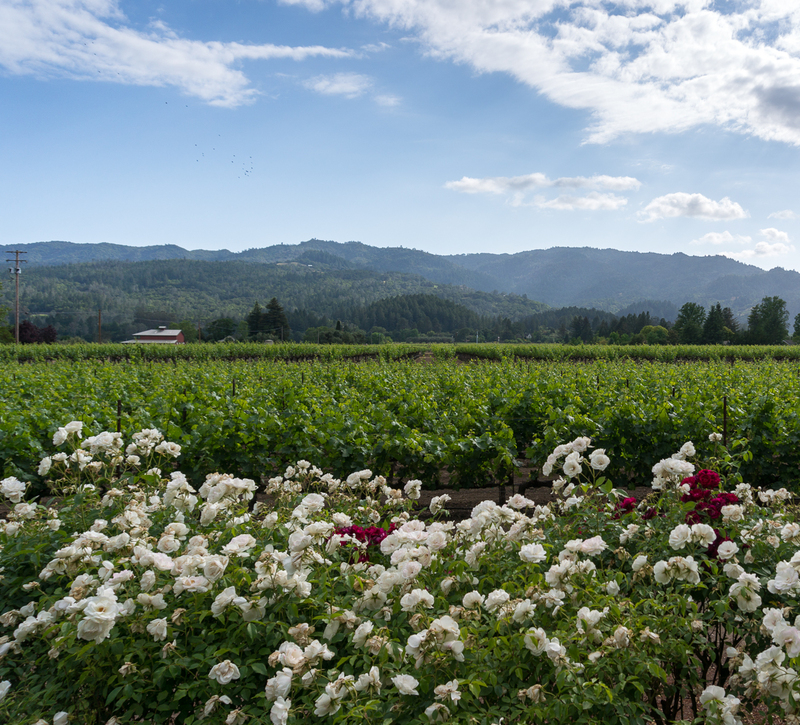 Everything about VML Winery in the Russian River Valley is romantic. I thought the color of this rose looked like an ivory wedding dress. 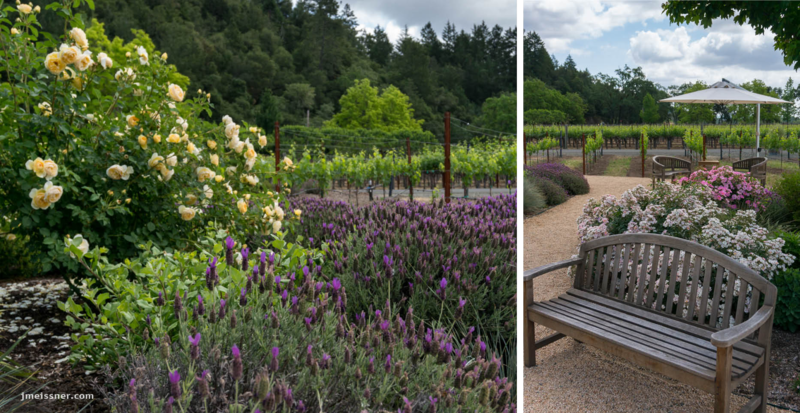 The view from our patio at The Harvest Inn was the perfect spot for a private wine tasting. The wine was from Idle Cellars, a micro-winery from Sonoma. The three entrepreneurs who started the company like to “be with their wine from the vine to the bottle.” Ben Larks was our host and we got to know his grapes quite well.